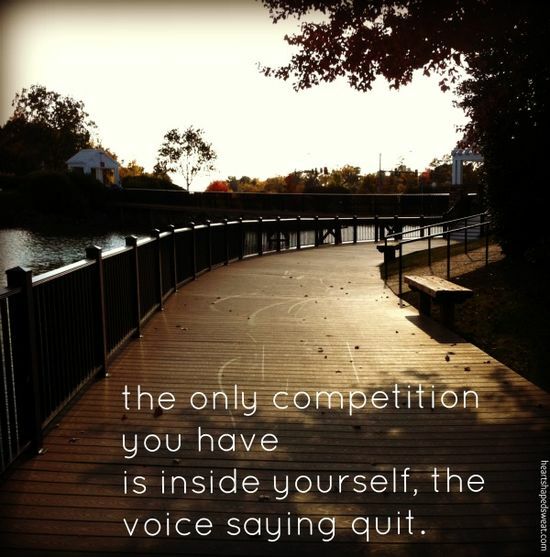 Last fall I got it in my head that I wanted to run a 5K. I’m not really sure why, maybe reading all the blog posts about all the amazing girls who were doing it, I was inspired, I’m not sure but I wanted to do it. Hubby and I started training for it, but then winter kicked in and I became a hibernating bear. It was on my 101 in 1001 list of things to accomplish and a goal that I wanted to complete before I turned 30 next month. 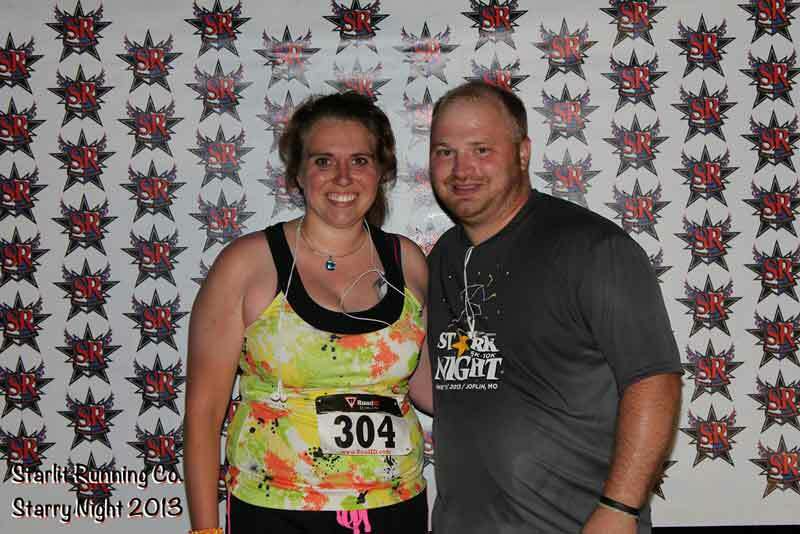 I found a race in Joplin that was a night race, The Starry Night 5K, 10K and One Mile Fun Run, told hubby and he signed me up before I had a chance to back out. Being Father’s Day weekend we wanted to celebrate Father’s Day with my mom before she left at 7am Sunday for China, so we decided to go out to eat on Saturday night. Mom suggested that we eat Italian (my fave) for the carbs to run so we ate dinner at 4pm. 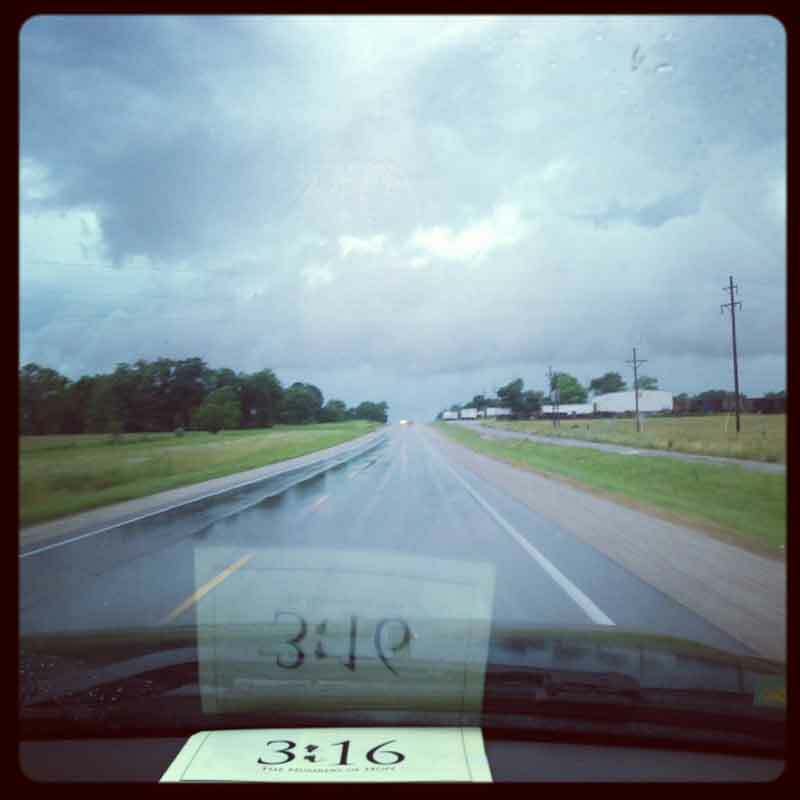 As we were headed to Joplin a storm started blowing through and of course we were driving right into it. 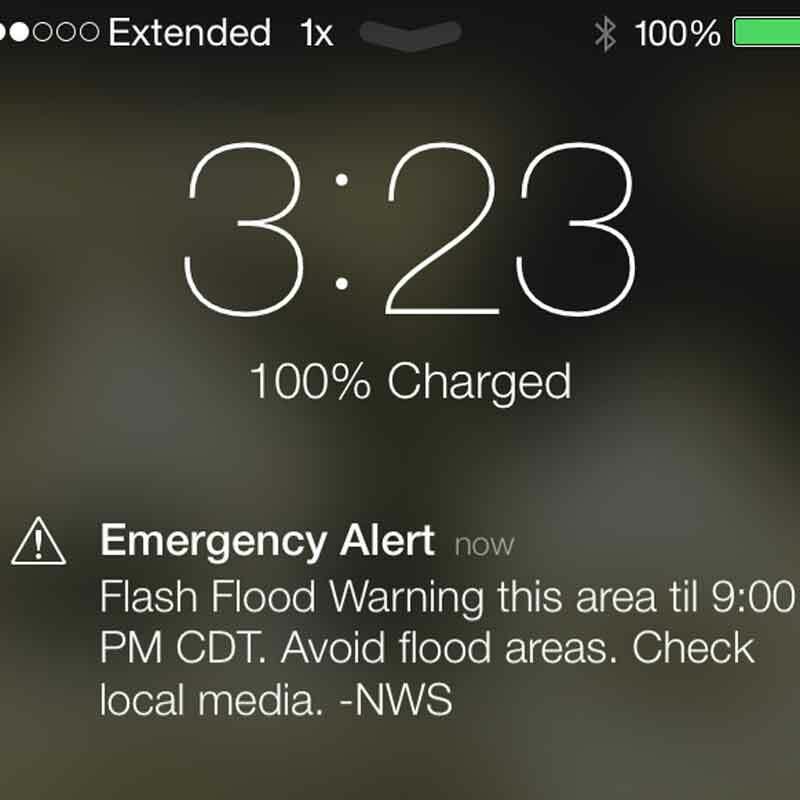 Then I got the warning that there was a Flash Flood Warning. Fun! I may have started grumbling about having to run in this and started getting cold feet about running in the first place. We met up with mom and dad at Carino’s. 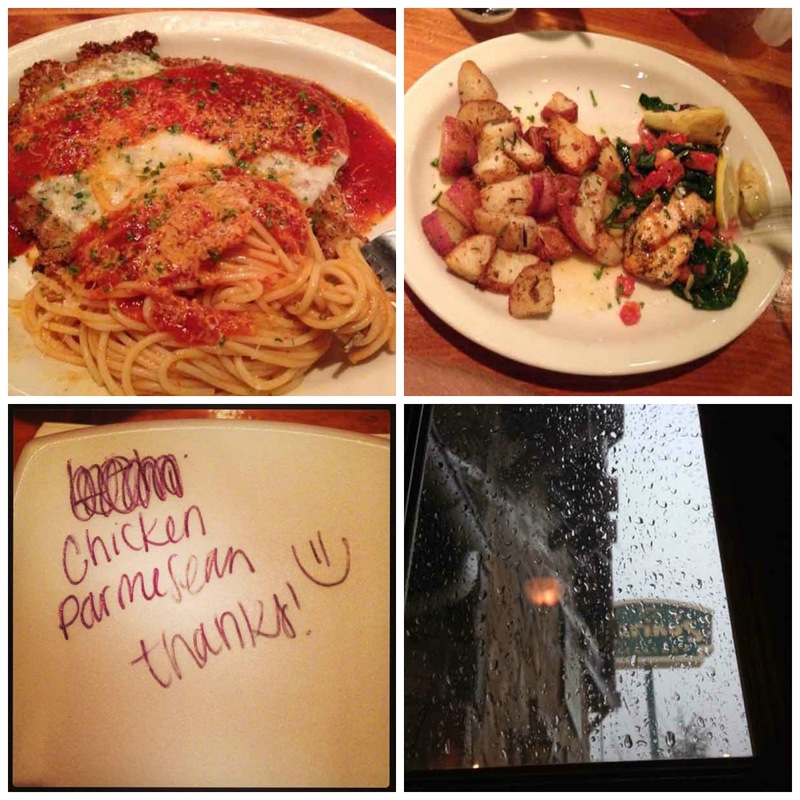 One of my favorite things there is the Chicken Parm but I couldn’t eat it all. Hubby went with fish. By the time we left it was pouring rain and we stood in the corridor of the building for a while hoping it would slow down. 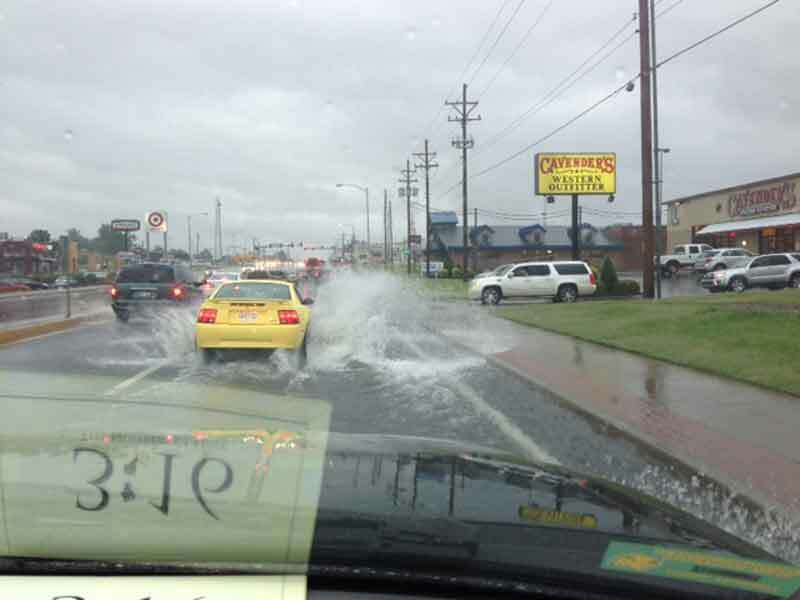 This is the only picture of the rain I got, but the streets of Joplin were flooded in a lot of places. Because of the rain, check in was delayed to start until 7pm. We got there right about 7 and it had quit raining. That meant, in fact, we probably were going to be running. Hubby and I went up to get our packets and check in. I am proud to say I finished the race. My dad keeps teasing me that I cheated and had someone pick me up, etc. Just so you know, I didn’t! Our official time was 42:27.58. That made our pace a 13:42 min/mile. Hubby was a bit ahead of me and waited at the last turn for me to catch up. I guess everyone kept telling him he didn’t have much more to go and encouraging him to finish but he told them he wanted to cross the finish line with his wife. Hubby finished 26 out of 27 in his age group. I came in 45 out of 62 in my age group. Over all we came in 248/249 out of a total of 290 5K runners. For our first 5K we were proud of ourselves. Estimated that we ran about 2 miles of the 3.2 miles that make up a 5K. That’s extremely good for non-runners like ourselves. 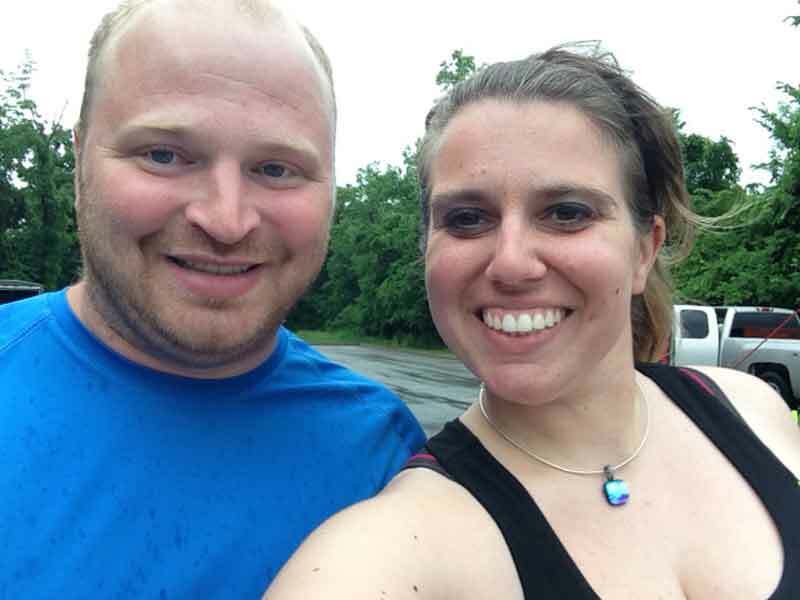 Initially I asked mom and dad to stand with Tbug at the finish line for us, however I told them not to worry about it with the rain so we went to their house after we were finished to pick up Tbug. 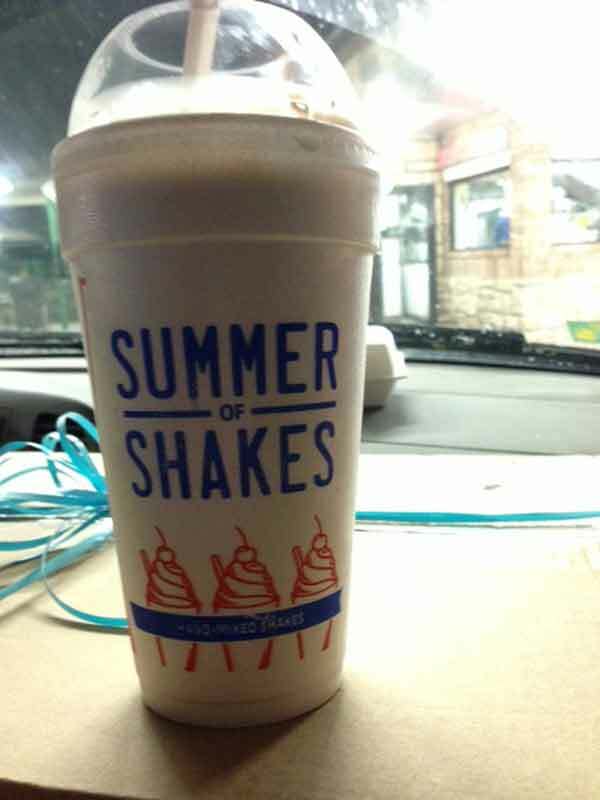 As we were driving home, I really wanted ice cream but didn’t say anything until hubby brought it up so we went by Sonic and got 1/2 price shakes. Hubby and Tbug got Peanut Butter and Chocolate and I got a Chocolate Covered Strawberry shake. Then we came home and sat in the hot tub to help with our muscles. I’d say a pretty great end to a fantastic day. Plus I crossed off a 30 before 30 list, a bucket list and a 101 in 1001 item. Yea!! Good job!! So awesome that you accomplished your goal. Congrats on your first race! That is so awesome 😀 Glad that the rain and floods didn't deter you! Way to go girl!! I could never do it– I am too lazy. I don't even run in my dreams. 🙂 that's lazy! Good job toots!! Awesome job Nicole!! Definetely something to be proud of! That “runner's high” is addictive! 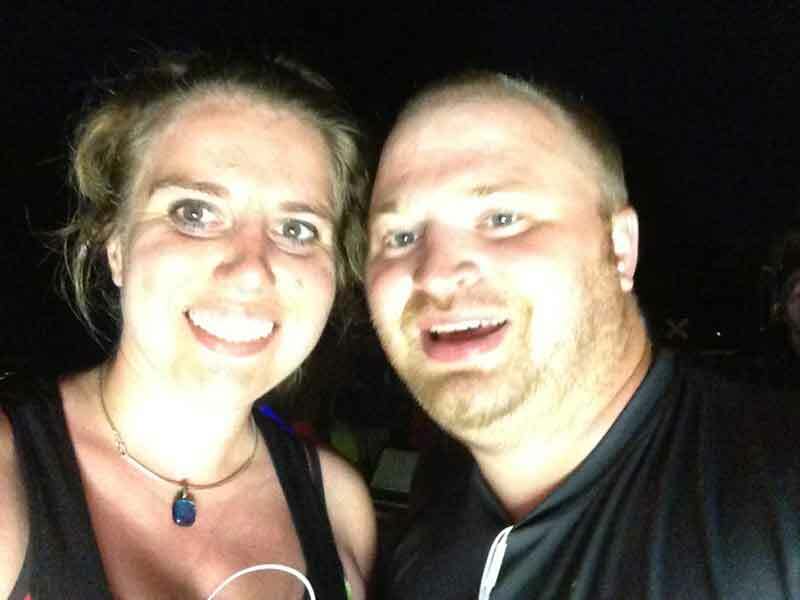 That sounds like fun to do a night time 5K. I love that PC did it with you.